Most people don’t mind giving money to a charity, as long as it is for a cause that they approve of. However, if you are holding a charity event to raise money for a cause, you would probably like to have people donate as much money as possible. To do that, you probably need to give away raffle prizes. If people like the prizes, they will buy more tickets. Therefore, you need to carefully consider the prizes that will be made available. Normally, the more the prize is worth, the more raffle tickets that will be sold. For example, if you are raffling off a brand-new luxury car, people will be interested. However, having a big ticket item as a prize requires a big upfront cost for you (Of course, if a sponsor is providing the car for free, the up-front cost does not apply). And, if you put up money upfront, there is no guarantee that raffle ticket sales will even cover that cost. So the trick is to have a desirable prize that does not cost you a lot of money. I think that the best desirable prize that doesn’t require any upfront costs is money. People love to win money. The best way to give away money is through a 50-50 draw. 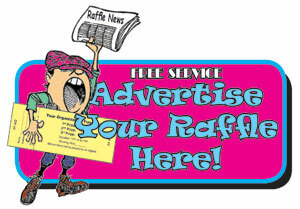 With a 50-50 draw, half of all raffle ticket sales will go towards the prize and the other half will go to the charity. That way, the more raffle tickets that are sold, the more that people can win and the more that the charity gets in the end. So if you are stuck for raffle prize ideas for your charity event, consider holding a 50-50 draw; it might be a good way to maximize the amount of money raised for the charity without the risks. Be sure to check out the lottery winners stories blog. It features stories about lottery winners from around the world that have won big money jackpots.